> AWS | Books | cloud | DevOps > Two books on changing the "how"
In my role I have the great privilege to get to speak to a lot of really interesting people and companies that are on their Cloud journey. The bits and bytes of Cloud are not that hard for most technologists and companies, the hard part is the cultural change. 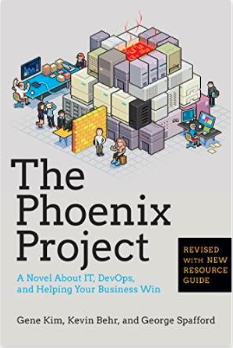 For a long time I have been recommending that people read the book, "The Phoenix Project: A Novel About IT, DevOps, and Helping Your Business Win" by Gene Kim, Kevin Behr & George Spafford. You can get it on Kindle for under $10 and you can read it in a weekend. This book can be a little confrontational to read if you have been in IT for quite some time. Its written as a narrative and you may recognize yourself or others you have closely worked with in the characters. But what this book does do is provide a great vision that will challenge your thinking about how IT can be done in todays world. Since reading the book I have read quite a few others that have helped in my thinking about how software and architecture should be done. For example "Release It! : Design and Deploy Production-Ready Software (Pragmatic Programmers)" by Michael T. Nygard. Its a little dated but you can tell how it is really sitting on the cusp of public Cloud. 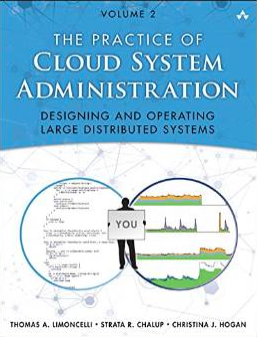 But this last weekend I stumbled across a new book, "The Practice of Cloud System Administration: Designing and Operating Large Distributed Systems, Volume 2" by Thomas A. Limoncelli , Strata R. Chalup & Christina J. Hogan. I view this book as a great follow up to get one thinking about the "how" of the Phoenix Project. One of the authors, Thomas, worked at Google for 7 years and I see many parallels in the operational aspects described and those which are in place inside Amazon.com and AWS. The book covers a lot of topics from how to build large scale distributes system to the important bit of how to operate them. Yes there is a chapter on DevOps but this is not a DevOps book. For people who are keen to understand the possible way to perform operations in the new world of Cloud this book is a great primer and full of great tips and examples from the real world. An interesting quote, "cloud or distributed computing was the inevitable result of the economics of hardware. DevOps is the inevitable result of needing to do efficient operations in such an environment." (p. 171). Again, lets not overdo the DevOps model but I think the premise is that cloud presents an amazing new way to architect systems. The parallel of that is we need new ways to operate these new architectures and reading this book will help give you insights on how people have been doing that. If you have read the book, or once you have, would love to hear what you think in the comments. I have been thinking a lot about operations in the Cloud over the last few weeks so expect some more posts coming up on this topic.